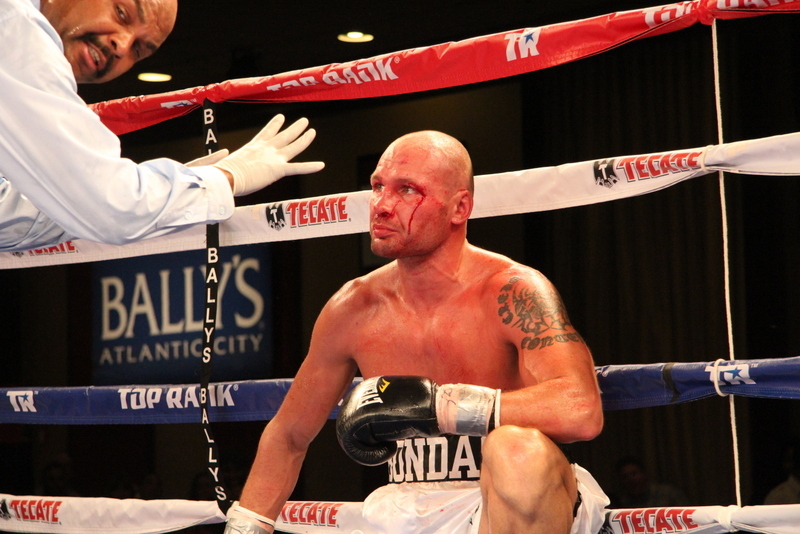 Glen "Jersey Boy" Tapia Tames Bondorovas in AC — Hart, Zewski, Reed, More! Atlantic City, NJ – Junior Middleweight Glen “Jersey Boy” Tapia (22-1, 14 KOs) continued on the comeback trail with his second consecutive knockout victory stopping Donatas Bondorovas (18-6-1, 6 KOs) in the main event of a seven-fight Top Rank card at the Bally’s Hotel & Casino in Atlantic City. Once again, Tapia showed that working with Hall of Fame trainer Freddie Roach has been a worthwhile investment. Tapia, who won via 4th round TKO, looked more patient and calculated in the ring than he did in his previous fight. The Passaic native also worked behind a steady stiff jab from the outset, which enabled him to set up his power shots with precision. 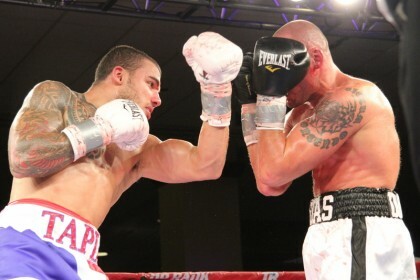 Tapia landed thudding right hands, hooks, and body shots on Bondorovas with regularity. Bondorovas wasn’t able to throw Tapia off of his game plan or lure him into a brawl. Instead, Tapia was able to move in and out of range and buzz his opponent often culminating in a referee stoppage after four rounds. At the final bell, the battered and bloody Bondorovas was simply outclassed. Jesse Hart (15-0, 12 KOs) retained his NABF Jr. Super Middleweight Title with a 4th round TKO of Roberto Acevedo (8-3, 5 KOs). Julian Rodriguez (6-0, 5 KOs) stopped Christian Steele (4-11-2, 1 KOs) in the fourth round via TKO. Mike “Yes Indeed” Reed (11-0, 6 KOs) registered a knockdown in the second round against Osner Charles (10-11-1, 1 KOs) en route to a unanimous decision victory (60-52 twice, 59-53). Mikael Zewski (25-0, 20 KOs) knocked out Roberto Ventura (15-10, 14 KOs) in the second round with a devastating body punch. George Arias (1-0, 1 KO) knocked out Edwin Ranquillo (2-3, 1 KO) in the second round in his pro debut. You are here: Home / Boxing News / Glen “Jersey Boy” Tapia Tames Bondorovas in AC — Hart, Zewski, Reed, More!